others with Intellectual and Developmental Disabilities about safety and what First Responders require of them. That is why we have developed Free training programs and resources to help teach each about the other’s needs and the meaning of their words and actions. This website is dedicated to that training. Please check out the resources, videos and FirstForward.com training site for First Responders. We will be adding more training programs as they are developed. 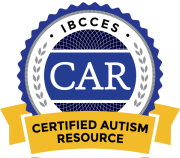 © 2019 Autism & IDD Training.